Micromax on Friday announced that its Canvas Xpress 2 smartphone, which was launched in a flash sale model on Flipkart in July, will now be available in open sale. The domestic handset maker confirmed that the handset will continue to be available via Flipkart. An open sale for the Micromax Canvas Xpress 2 smartphone means that consumers will not be required to register to purchase the handset, and need not wait for the flash sale period to purchase it. 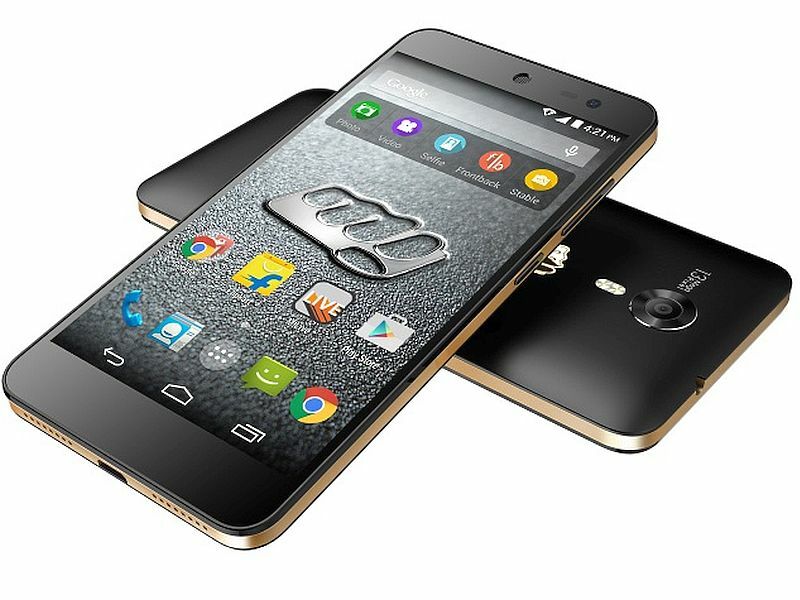 Initially unveiled in July, the Micromax Canvas Xpress 2 smartphone was priced at Rs. 5,999. According to the company, 150,000 units of the smartphone have been sold so far. The company has been promoting the Canvas Xpress 2 as the country’s ‘most affordable octa-core smartphone.’ The Micromax Canvas Xpress 2 features a 5-inch HD (720×1280 pixels) IPS display and also comes with Corning Gorilla Glass 3 for protection. It is powered by a 1.4GHz octa-core MediaTek (MT6592M) processor coupled with 1GB of RAM. The smartphone comes with 8GB of inbuilt storage and supports expandable storage via microSD card (up to 32GB). The Canvas Xpress 2 sports a 13-megapixel autofocus rear camera with OV sensor, 5P Largan Lens, Blue Glass filter, and dual-LED flash. There is a 2-megapixel fixed-focus front-facing camera also onboard. The Android 4.4.2 KitKat-based Canvas Xpress 2 is claimed to be upgradeable to Android 5.0 Lollipop. The smartphone will be available with Jet Black finish with a gold rim on the sides. The handset is backed by a 2500mAh battery which the company claims can deliver up to 9 hours of talk time and up to 393 hours of standby time. The dual-SIM smartphone also features a Cirrus Logic Wolfson Stereo DAC chip for enhanced speaker output.